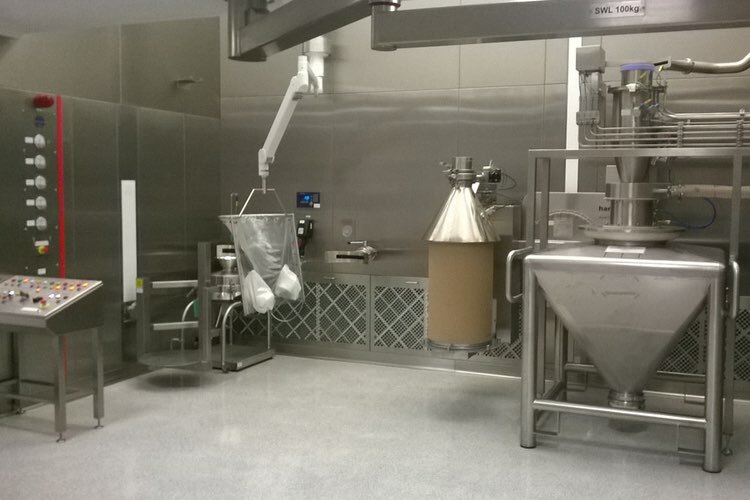 In close co-operation with one of the world’s leading pharmaceutical manufacturers, Hosokawa Micron has developed a contained particle size reduction facility that is suitable for flexible milling down to ultrafine particles of active pharmaceutical ingredients at r&d, pilot scale and small scale production volumes. The facility includes three mills plus a lump breaker, three material feed options and operator exposure levels of <1µg/m3. Hosokawa says the system is the first size reduction facility of its kind to offer such high levels of ‘complex but not complicated’ operational flexibility. 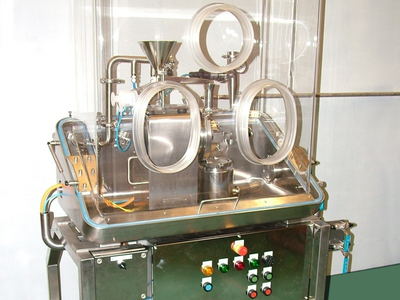 The system consists of two separate but interconnecting isolator chambers, the milling chamber and the product collection chamber. Product feed and mill placement is at the rear of the unit. Operators work from the front of the unit. The milling chamber is engineered for multi-powder size reduction with three separate mills available for use within the system. These interchangeable mills are mounted onto wheeled skids, which are moved into position for docking. Interlocking seals ensure mills are fully engaged and connected ready for operation and enable <1µg/m3 OELs to be achieved. The system’s originally specified impact mill for fine grinding and the spiral jet mill for finer grinding are supplemented with a fluidised opposed jet mill for the finest micronising. The grinding chamber also houses an in-line lump breaker for coarse grinding and preconditioning the powder prior to fine size reduction. Three feed options are incorporated into the system, with the option to switch to the most appropriate; a screw feeder, a rotary valve and manual feed via a small hopper may be the best solution, for example, when small batches are to be processed. 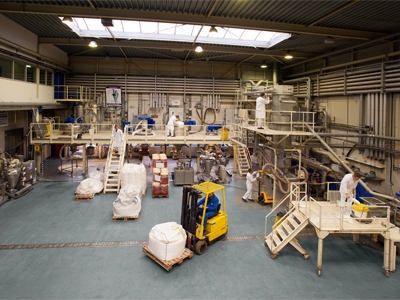 Isolator 1 is for production of small and gramme batches, while isolator 2 is for large batch production, sub-division and dispensary operations. Product is collected using a reverse jet filter. 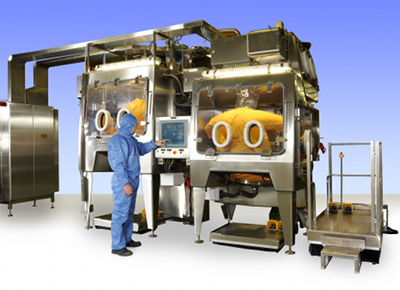 The contained API particle size reduction facility features half-suit technology for a more comfortable and less restricted working environment with lift platforms providing easy operator accessibility for all procedures. Easy clean construction eliminating dust collection and dead spots enables handheld lance WIP operations to meet stringent standards.